No one wants to govern. Social Media and the 24/7 news cycle has turned our elected officials into attention whores. They do their jobs – barely – always in search of the next share, view, click, like or retweet. The unbelievable availability of unvetted “news” has had a profound effect on the flow of information. Some of this access has been good. But to the politician, the non-stop access, across multiple theaters, has just given the world’s largest egos a greater stage to perform. Network news programs and newspapers used to be the extent at which newsmakers could draw attention. An old-fashioned news broadcast is only 30 minutes long and there is only so much ink. While it may be hard to believe, journalists used to at least pretend to be non-partisans. Getting things done used to matter. It made front page news. To get things done, those in power have to work across the aisle. Today, only partisanship gets clicks on the web and in social media. And we have little to show for it. Look at New Orleans and Baton Rouge, two cities with plenty of problems. New Orleans has skyrocketed to the top American city for homicide. Crime is on the rise. Homelessness ravages the French Quarter. 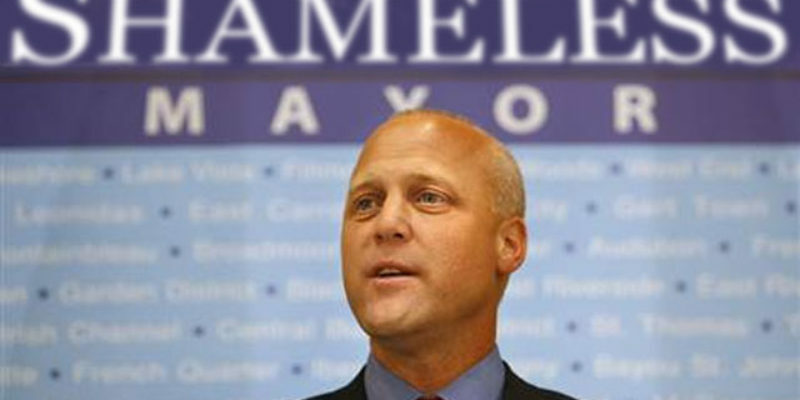 What does Mayor Landrieu do to respond? Does he govern? Nope. He did as any good modern politician would do: he totally ignored the problem and created clickbait instead. Mitch Landrieu started tearing down monuments, proclaiming that he was somehow healing the wounds of the Civil War. No one can recall the mothers of the teenage sons murdered in the streets lamenting the effect of General Robert E. Lee on their son’s life, but I digress. Mitch Landrieu’s actions are posted, tweeted, blogged about on social media. Those articles replicate endlessly through this bizarre matrix we have conceived. This humble hayride is not innocent. Mitch Landrieu gets 100x the media that a good Mayor would have received 50 years ago for reducing the crime rate in a major American city. There is talk of him running for Governor. Some even dare say President. He literally had to issue a statement that he isn’t running in 2020! But for what accomplishment: four empty base stones? Baton Rouge endured perhaps its worst year in 2016. The Alton Sterling event led to a national outcry. The cold-blooded murder of three cops, at the hands of a BLM militant from Missouri, shook our city to the core in July and nothing was washed away by August except for our homes. It was in this environment that Sharon Weston Broome, a State Senator from the north side of the city, squeaked out a win in December to become the new mayor. Not at any time in recent memory could the capital city use more healing. But healing doesn’t produce social media buzz. Why worry about traffic problems, when we can offer web traffic solutions? Following in the footsteps of Baltimore’s mayor, Broome decided to ride this Alton Sterling situation to all the retweets she could muster. Bloggers indulged. She has given many stump speeches, chock-full of platitudes and light on solutions. Is this 2008? We heard all about how divisive white folks are. We heard how she wants to heal the division. Most of us would rather hear about healing our crumbling schools, infrastructure and roads. And let us not forget Washington DC. What in the world is going on there? The President and both houses of congress represent the same political party. All of those Republicans ran on repealing Obamacare. FOR SIX YEARS. But why repeal Obamacare when they can get clicks? House Republicans erupted into a internet battle for weeks over simply sending a bill to the Senate, that the Senate just chose to ignore. I didn’t even know there was a “Tuesday Group” until I read about it in March on Twitter. American government reflects the will of the people. We get the government we deserve. Quick… take a selfie.